Despite a continued government shut down, one thing that has not been put on hold is the 2020 quest for the White House. In a highly speculative Democratic field, the first official bid for the nomination has been announced by Democratic Senator from California, Kamala Harris. It what is now an obvious precursor to her run, Harris recently published a memoir, The Truths We Hold: An American Journey, which espoused many of the messages she is expected to focus on during her campaign. In the book, she describes her upbringing in Oakland as a daughter of immigrants from India and Jamaica, and her personal history of advancing from prosecutor, to district attorney, to senator. Elected to the Senate in 2016, Harris made history as the first Indian-American to serve in the body, as well as the second black woman to ever serve. As attorney general of California for six years, she was the first woman, the first African-American and the first Indian-American in that role – so it should come as no surprise that she made her announcement on Martin Luther King Day. 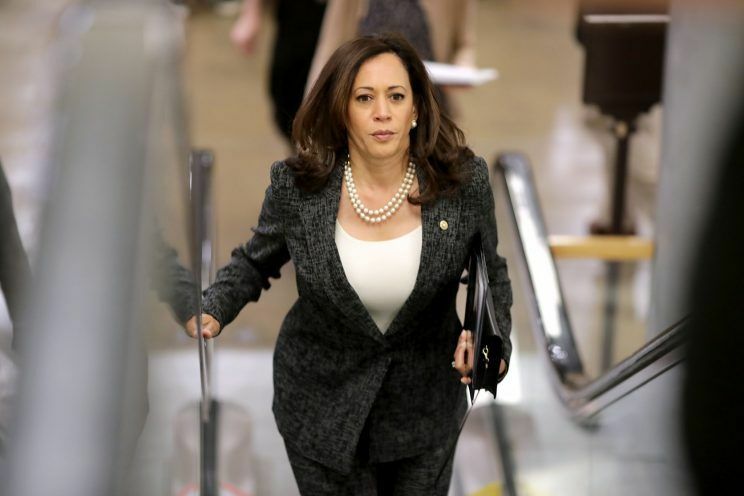 President Trump has been a long-time critic of Harris as he has of all of the current Democratic front runners, and fears little of the challenge presented by her announcement to run in 2020. Odds makers would seem to agree. According to BetOnline.ag, Harris, and her most likely contender for the Democratic nomination, Beto O’Rourke, are tied at 8-to-1 odds to win the presidency. President Trump has the edge, which he has maintained for months despite the government shut down, with 7-to-4 odds, said BetOnline. BetOnline.ag’s sportsbook brand manager, Dave Mason said, “Kamala Harris has been the most bet Democrat to date, with Biden close behind.” Former Vice President Biden has not yet formally declared his candidacy.